Suzy Amis Cameron’s “Red Carpet Green Dress” campaign is going co-ed. 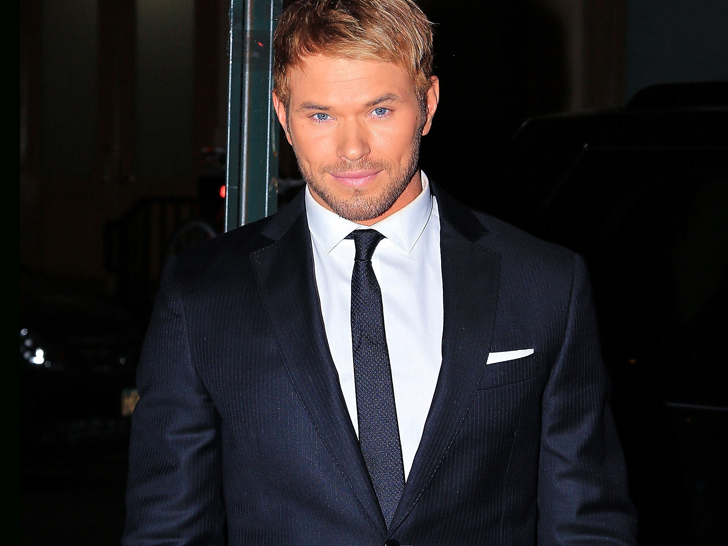 The ethical-fashion awareness initiative, which celebrates its fifth anniversary next month, has tapped actor Kellan Lutz to don its first sustainable tuxedo. The Twilight heartthrob will be donning a design submitted by Jomnarn Dul from H Brothers, a New Zealand menswear label that recently collaborated with musician Will.i.am’s “Eckocycle” project to create a line of suits made with fibers derived from post-consumer recycled plastic bottles. “I’m honored to have been asked to participate in this milestone year of Red Carpet Green Dress, and I look forward to wearing Dul’s winning design for H Brothers to the Oscars next month,” says Lutz in a statement. Amis Cameron launched Red Carpet Green Dress in 2009 after desiring a sustainable gown to wear to the 82nd Academy Awards. Dul will be mentored by Jeff Garner, founder and designer of Prophetik, a sustainable couture label based in Tennessee. Amis Cameron, who launched Red Carpet Green Dress in 2009 after desiring a sustainable gown to wear to the 82nd Academy Awards—her husband, Avatar director James Cameron, was up for nine awards that year—is equally pleased.